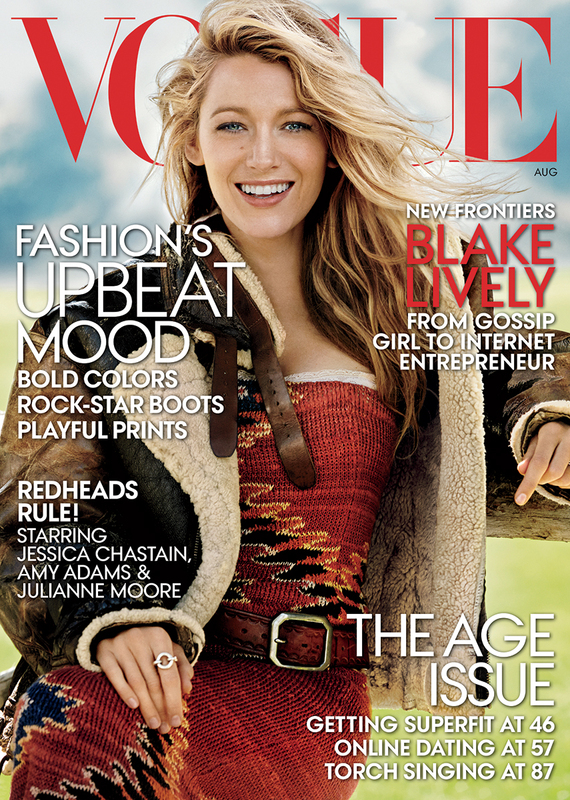 Your favorite gossip girl Blake Lively once again is on the cover of the prestigious “Vogue” for the magazine’s August issue. 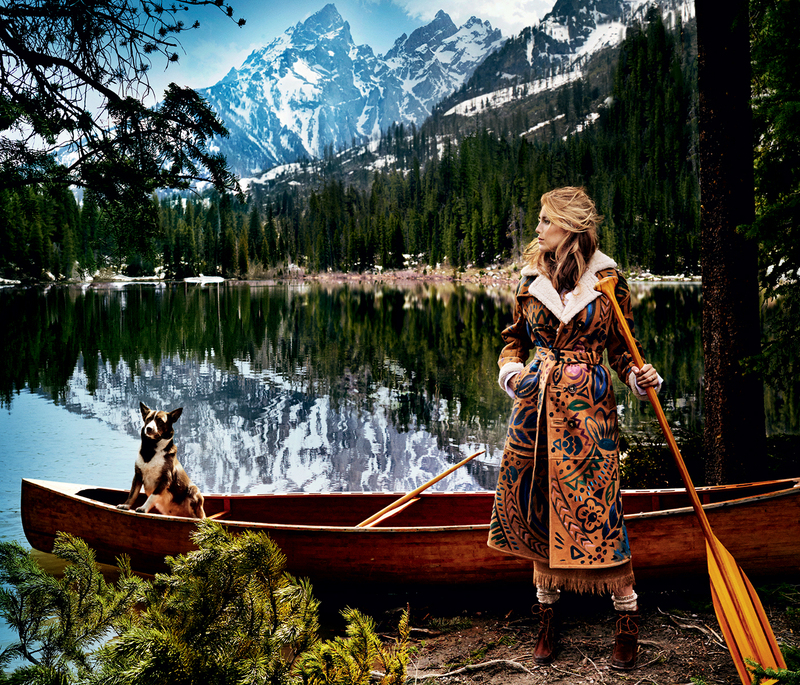 Mario Testino captured 26-year-old actress in Jackson Hole, Wyoming, for the shoot with styling by fashion editor Tonne Goodman. Untouched wilderness excellently fits its landscape with the pieces by the designers Michael Cross, Marc Jacobs, Marni, Phillip Lim, Alberta Ferretti, Ralph Lauren, Burberry and Chanel. In the interview with the magazine, Blake confirmed that it will soon launch lifestyle site called Preserve. Also, she spoke about her latest film project “The Age of Adaline”, whose premiere is scheduled for next year. “I simply could not refuse that movie. The scenario is so beautiful,and rarely you can see a woman at the center of the film “- said Blake Lively who will play a girl who does not age.